Chapel Hill Christian School has been providing the highest quality Christian education to the Akron area for over 40 years. Our caring, professional staff is dedicated to helping your child reach his/her full potential academically, socially and spiritually. We believe strongly that the primary responsibility for “training a child in the way he should go” rests on parents, and should be supported by the local church and school. Our goal is to work together to cultivate Christ-like character, strong social skills and academic excellence in your child. Standardized test scores show that over the past two years, Chapel Hill students have exceeded the national average by 18 months, and the ACSI median score by 3 months. Students in grades one through six have the opportunity to participate in choir, drama, Speech Meet and a variety of award winning Late Day programs. 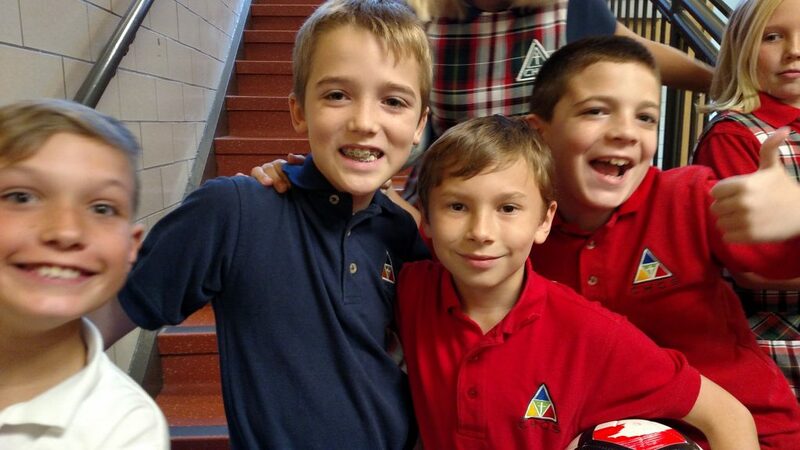 Students in grades four through six may also choose to participate in band, hand-bell choir, soccer, basketball, volleyball, Spelling Bee and Math Olympics. Chapel services are conducted weekly and include guest speakers and musicians. One Chapel service each month is dedicated to “Principals Club” when teachers recognize Christ-like character traits exhibited by students. Supplemental Day Care is available before and after the normal school day for all grades. Hot lunches are available on a daily basis.